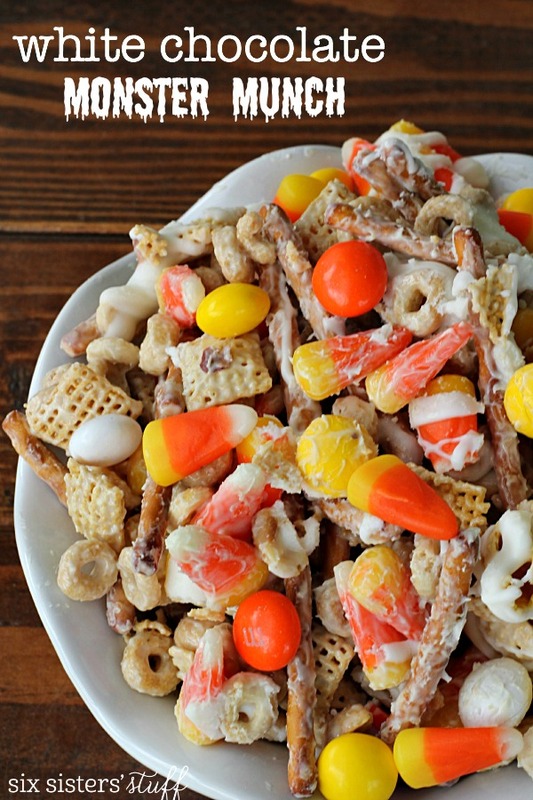 This White Chocolate Monster Munch Chex Mix is the perfect Halloween treat for all ages. This treat is perfect for the kids to help out with. It's so simple and takes minutes to throw together. Halloween wouldn't be the same without this White Chocolate Monster Munch Chex Mix. Halloween is in the air. Our mom is the Halloween queen. Growing up, the Halloween decor came out on October 1st. Spooky music played all month long, costumes were planned weeks in advance (she made many of them by hand), and parties happened all month long. My personal favorite part about my mom’s Halloween Traditions were the food and treats. This White Chocolate Monster Munch is the perfect party food. We used to always make this for our neighbors as well. This snack is so easy to make, it only requires a few ingredients and a few minutes. This is the perfect snack for when you are in a rush or need a last minute treat. In a VERY large bowl (or two medium bowls), combine the first 6 ingredients: pretzels, Honey Nut Cheerios, Corn Chex, peanuts (or mixed nuts), candy corn M&M’s, and candy corn. Set the dry ingredients aside. In a microwave safe bowl, heat white chips and oil on high for 60 seconds (you could also melt chocolate and oil in a double boiler pan). Stir and microwave for another 30 seconds and stir until completely melted and smooth (you may need to microwave for a couple more seconds). Pour melted chocolate over cereal mix and stir until all the cereal is evenly covered with white chocolate. Spread cereal mix on 2 large baking sheets (I used cookie sheets) lined with wax paper. Let cool and then break apart into chunks. Store in an airtight container. This would be a great dessert to make ahead of time. It stays good fro quite some time. Melting chocolate can be difficult. When melting it, there are a few things to know so you don’t ruin it, or damage it in any way. Don’t add moisture. Make sure your bowl and spoon are free of moisture or water droplets. Make sure there is no water from the washer, left behind. This will ruin the texture of the chocolate. Evenly sized chocolate pieces. Your chocolate will cook evenly if it is in smaller equal pieces. If you are using a bark, some chocolate will melt faster than other areas. This could learn to burnt chocolate particles which could effect all of the melted chocolate.We recommend using chocolate chips, or chopping up chocolate bark into bits. Mix frequently. Don’t microwave the chocolate all at once. Microwave it in 20-30 second increments, stirring it every time you remove it from the microwave.At first the chocolate will still be in it’s form, but with each time increment, it will soften and melt. Continue to stir. 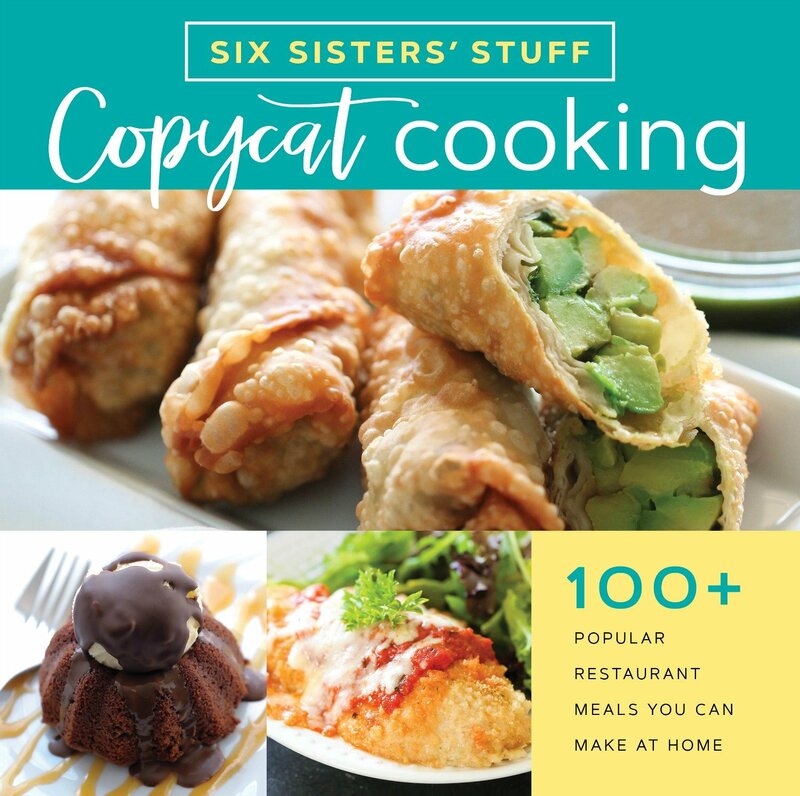 We have hundreds of simple and delicious recipes your family is going to love. We take you step by step through each recipe, so you know exactly how to make it. This chex mix is perfect for parties because it makes a ton! You could even put it into single-serving bags and take for a classroom party. In a VERY large bowl (or two medium bowls), combine the first 6 ingredients. Set aside. Hahaha, my first thought on reading this recipe name was really not a good one! In the UK Monster Munch is a brand of heavily flavoured artificial savory snacks, like cheesy puffs - that would be so gross! Thankfully this looks a lot nicer! This Monster Munch recipe is looking easy and yummy! I will definitely try this at mu home. Thanks for share. The kids will love it. So will the adults. This sounds so tasty and is so festive! Thanks for joining Cooking and Crafting with J & J! A super delicious recipe I have ever seen! I am die hard fan of chocolates. I will surely try this. Thanks for sharing. Love this! Do you have to add the oil to the Chocolate? If so what is it's purpose? Does the chocolate stay hard when cooled? Thanks! The chocolate is easier to stir in if you add just a little bit of oil. The chocolate will harden after it cools. You could leave it out but we have had better success with the oil. You can reduce the oil to 1 tablespoon and it should still work great.